Pass in 10+2 Examination / Equivalent Examination with at least 50% marks in aggregate in 5 subjects including English as compulsory subject along with 4 subjects with the highest score out of the remaining subjects plus (a) having studied in English Medium from 8th to 12th class or (b) IELTS composite score at 6.0 with individual score not less than 5.5. BBA-(Global) International Business is being offered in collaboration with Auckland Institute of Studies (AIS), Auckland, New Zealand, a unique tertiary institution providing NZQA Accredited UG and PG level programmes. 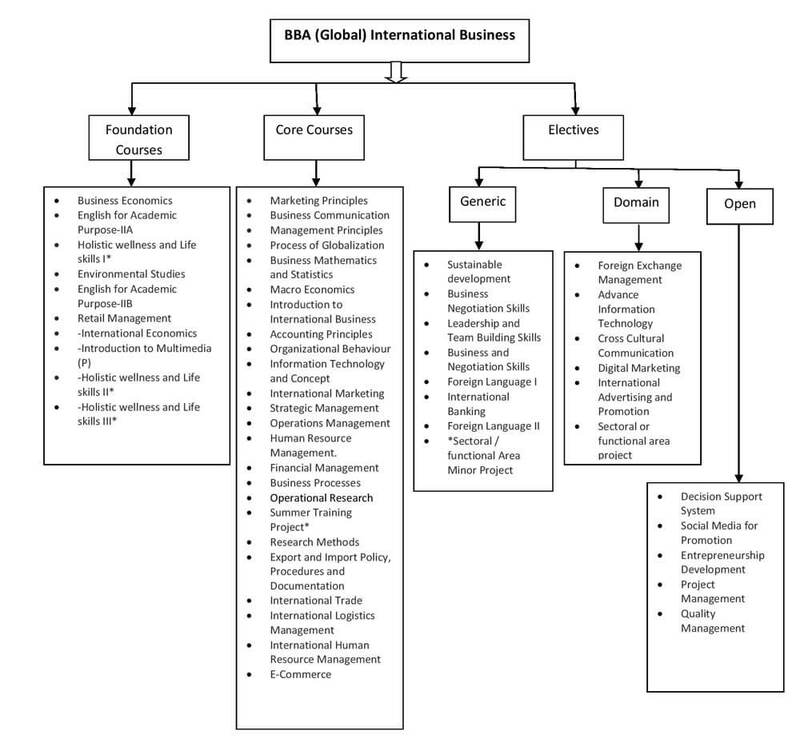 AIS has partnered with MRIIRS to provide curriculum and accreditation support for BBA-(Global) International Business. The students admitted in BBA (Global)-International Business programme shall undergo a 4-week study abroad programme/ internship at AIS Auckland, New Zealand as a part of their programme. The following Foundation Courses, Core Courses and Elective Courses (Generic, Domain Centric, and Open) shall be offered during the Bachelor of Business Administration (Global International Business). Reputed companies and MNCs regularly visit the campus to interview the students. The graduates are chosen by MNCs and business houses in the areas of Manufacturing, Export/Import, Operations Management, Human Resource Management, Financial Management, Marketing, and other allied fields.